Peter Schreyer: "If something looks good, you're probably willing to pay a little bit more." SEOUL -- The way Peter Schreyer sees it, there is one key difference between European and Korean automakers: Europeans design from the heart, Koreans from the head. "In a European company, everybody is a car driver, a car enthusiast," says the Germany-born design chief of Kia Motors Corp. "Everybody from the CEO to the little designer to people on the production line, they want to build cars they want to drive themselves." Koreans can be more market-oriented: "They look at the big picture, which markets to explore or conquer. What do you do to get into that market, what do you do to get into this market." It is just one of the culture clashes Schreyer, 57, has navigated since 2006, when South Korea's No. 2 brand poached him from a 26-year career as a top designer at Volkswagen and Audi. As Schreyer caps his first five years at Kia, the brand has made striking design part of its appeal. Schreyer, a licensed pilot with a penchant for perilous, head-first skeleton sledding, has injected European flair and upmarket feel. The Optima sedan and Sportage SUV showcased his sculpted, aggressive look. 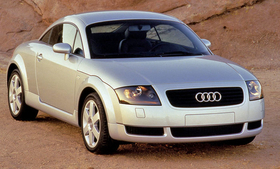 But the soft-spoken designer, who helped design the original Audi TT 15 years ago, soon may face some of his biggest challenges. After transforming the Kia lineup, he is down to the last two models not bearing his trademark tiger-nose grille: The Rondo crossover and Sedona minivan. The big question is: What comes next? Schreyer must keep Kia's momentum of fresh looks, while balancing the cost constraints of a budget brand with aspirations to be something more. In an interview at Kia headquarters, Schreyer said the next generation of cars is a work in progress. He cited packaging, materials and ergonomics as areas ripe for improvement. Schreyer also said the brand needs new entries in niche segments, such as sporty cars. Finally, Kia's dealers need a fuller appreciation for the brand's recent advancements, he said. "The comparison is someone who has a cheap electronics shop, and then suddenly he's selling Bang & Olufsen," Schreyer said, referring to the luxury audio equipment maker. "You have to have a feeling and a bit of knowledge about what you have there. What have we got now? It's not anymore about only selling by incentives or by giving a good price." Schreyer points to internal jousting over his push to have a tapered chrome strip arch over the Optima's side windows. Cost-controllers wanted cheaper edging that wasn't tapered. Schreyer won, but spending more for styling is still an "ongoing argument" at Kia, he said. "If you add a little of cost, it is paid back by the customers five times more," Schreyer said. "If you have something really cheap looking, of course you don't want to spend any money on it. If something looks good, you're probably willing to pay a little bit more." 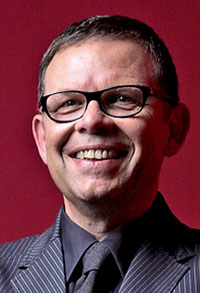 Peter Schreyer has influenced the looks of many vehicles, including the Kia Optima and the first generation Audi TT, shown. Title: Chief design officer, Kia Motors Corp.
Pet peeves: Catch phrases such as "styling cues"
Quote: "I'm waiting for the day there's a Kia you never want to sell." Schreyer's "European" instinct to deliver a car he would want to drive stems from a childhood fixated on automobiles and airplanes. "My father was a car enthusiast," Schreyer recalled. "I remember him walking into the room one day when I was a kid -- I can see it right now like a video -- and he said, 'There is this new car from Jaguar that came out. It is fantastic and absolutely timeless. But it's 24,000 marks!' At that time, it was like saying it is $5 million. Absolutely unreachable." But the mania took root. And last year Schreyer finally bought that dream car his father was raving about: A Jaguar E-Type. Staying in tune with his European roots, Schreyer is based at Kia's European design studio in Frankfurt. He commutes monthly to Seoul and home to Bavaria on the weekends. One of Schreyer's first designs sits on his desk in Frankfurt: A wooden model of a Formula 1 racer Schreyer built when he was 10. Today his aesthetic leans heavily on proportions and clean surfaces. He prides himself on "no gimmicks" and takes umbrage when the Optima's decorative side vents are noted. "That's a detail that helps the proportions to look a bit more like the classic proportion of cars," he said. Schreyer makes monthly trips to Seoul for regular meetings with the heads of Kia's South Korean and U.S. design studios. Mediating culture gaps remains a challenge. When a problem crops up, Germans wade in to tackle it head on, he said. Not so in Korea. "We have a problem here or there, who can I talk to? Who can make the final decision or help to make the decision or help to get this problem done somehow? It's like biting into cotton candy; it's gone," Schreyer said. "There's no one there you can get ahold of." But once a decision is made, Schreyer said, Koreans are lightning fast at putting it into action. "We do a clay model, and after we give a presentation and do the model fix, a few months later we see a perfect prototype," Schreyer said. "It's amazing how fast they do that." Schreyer reckons the process takes a year longer at VW-Audi. The German design chief -- with his signature black clothing and thick-rimmed eyeglasses -- sometimes bumps heads with the conservative styling sense deeply rooted in a Korean boardroom that long valued safe, if boring, designs. But no one questions his mission. "The expectations are very high to really make a change and make something different," Schreyer said. "This is why they wanted me." Schreyer's arrival dovetailed with other improvements at Kia, such as better engineering and improved quality. But making his design overhaul stick will be the tough part, said Imre Molnar, an auto design critic and dean of the College of Creative Studies in Detroit. Molnar cited BMW's Chris Bangle as a designer whose influence endured after he left. Will Schreyer's imprint on Kia be as lasting? "He's made his mark with the work he's done there," Molnar said. "But going the distance will be part of it. Maintaining consistency is what will solidify his legacy." Schreyer said of Kia's heightened sights: "Our competitors are Volkswagen, Opel, Nissan, Honda and Toyota. This is what I'm thinking about: how to position Kia in that world." While enthusing about memorable cars, Schreyer cited another collector's item in his personal garage, a Fiat Spider Volumex by Pininfarina -- a car that, in his words, "I will never sell." He aspires to invoke the same reverence for Kia: "I'm waiting for the day there's a Kia you never want to sell." That won't happen overnight. Schreyer is still completing the current lineup's overhaul with the Rondo and Sedona, starting next year. But the next generation may open new doors. "What we need, and what I would like to do, is some sort of roadster or convertible," Schreyer pledges. "I won't give up until we have one."